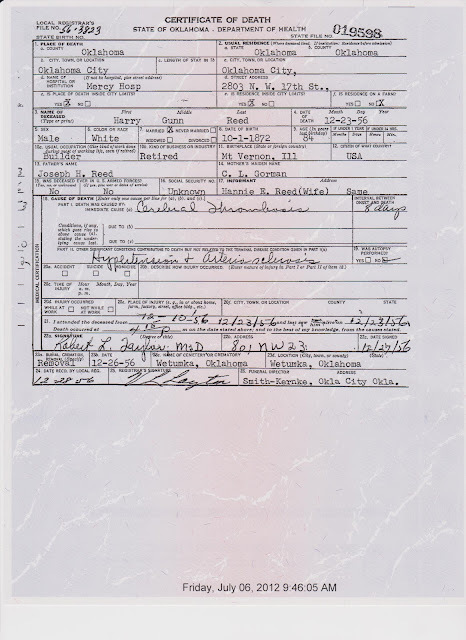 I know, it is getting a little old to keep rehashing Elizabeth Warren's maternal ancestors and all the documents we have to support the idea they were white, but because she has not accepted it yet, we have no other choice. 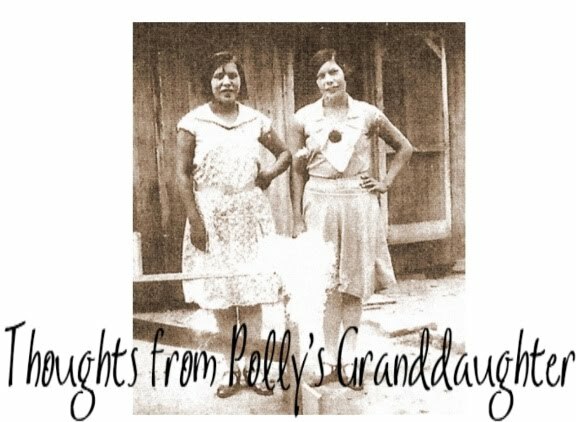 For those who have been reading this blog for a while, you know that sometimes, when non-Cherokee people are dead set on being Cherokee, the level of documentation to show they aren't goes to the "overkill" level. We have reached that level with Elizabeth Warren. 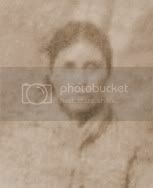 Never is her family ever found as listed as anything other than white in the records and never is her family ever found living among Cherokees or listed in Cherokee records, so the logical conclusion would be that they are not Cherokee. But, despite the fact Ms. Warren is a lawyer and should understand the burden of proof, she refuses to accept it. So, today, we are going to add a little more proof to the pile and hope that someday, she comes to her senses and realizes she is not Cherokee or a Cherokee descendant. Remember the statement Warren made where she said her mother was Cherokee on one side and Delaware on the other? That would mean both maternal grandparents would have to be Indian. People are making excuses for Warren by saying her ancestors might have had to deny their heritage in the old days. Whatever. I guess if it makes them feel better by saying that, fine, but by the time they died, there would have been no reason to deny a heritage, so what is the excuse for the more recent documents that list them as white? When they died, if their purported Indian heritage was such a big part of their lives and so important to them, surely their family would have listed them as Indian on their death certificates. It would make no sense for a family of such grand and important Indian ancestry to continue to hide and deny it all the way into the 1990s, especially if one of them was "so Cherokee" they had to elope. Or if the daughter or granddaughter of these people was "so Cherokee" that she could be counted as a minority for diversity purposes, right? Well, this family always listed themselves as white. Always. They are found as nothing but white on all the records and documentation where they are found. Below are the death certificates of both of Warren's maternal grandparents. 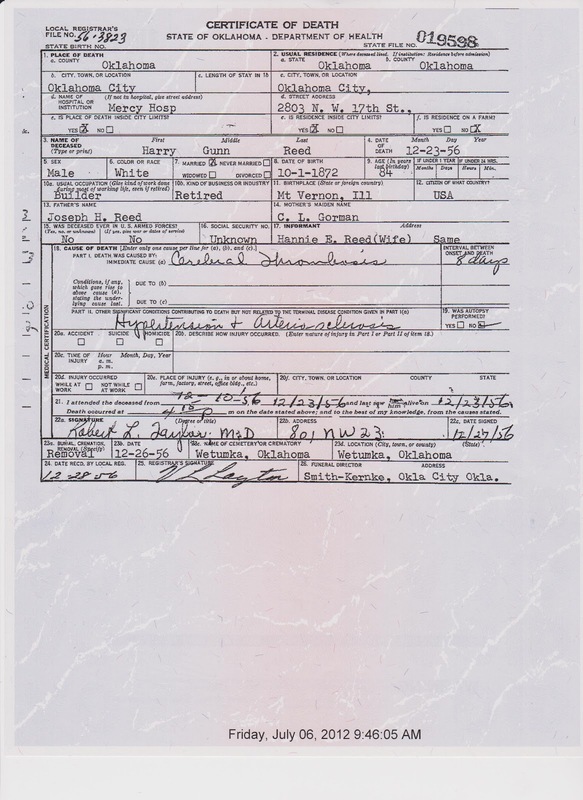 Notice Harry Gunn Reed's race is listed as white. And that the informant was his wife, Hannie Reed. Now if he was so Indian that their daughter had to elope, don't you think his wife would have known it? Wouldn't she have listed his race as Indian if it was a big part of their life; who they were; and how they lived? Notice Hannie (Crawford) Reed's race is listed as white. And that the informant was none other than "Aunt Bea", Bess Veneck, the famed aunt who's high cheekbone story Warren tried to use as proof of being Indian. This makes no sense. 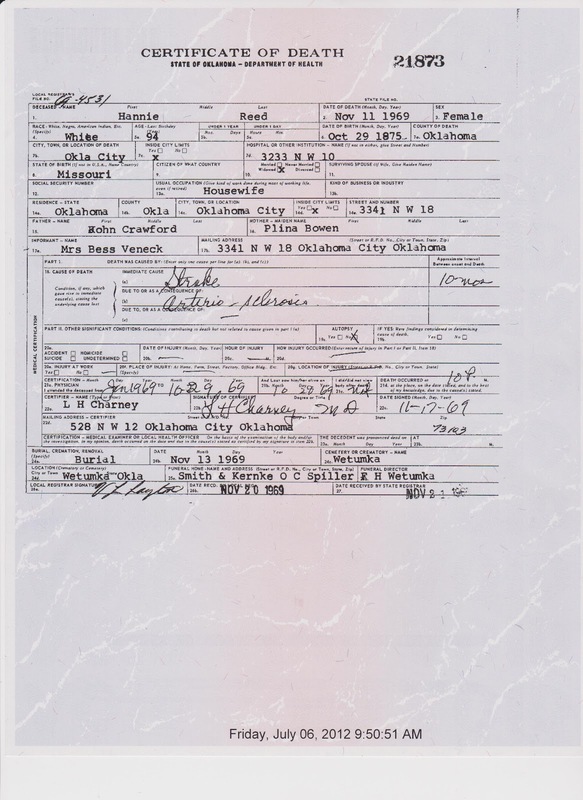 Are we supposed to believe that Hannie Crawford Reed was so Indian that her daughter, the daughter who always talked about being Indian, listed her as white on the death certificate? Just how stupid does Elizabeth Warren think we are? I hate to say this, but don't hold your breath expecting an apology from Warren. A sincere apology, anyway. She does not care that she is offending or hurting the feelings of other people. All Liz Warren cares about is satisfying the selfish political ambitions of three people: Me, Myself, and I!